Next winter will be the real bellwether for the state of MLB payroll spending—handwringing over shrinking payroll today might disappear all at once if the movement of next winter’s studs lifts all boats—but the early indicators of this winter are troubling. The hot stove is cool, there’s a boatload of free agents sitting out there, and two teams in particular—the Pirates and the Marlins—have traded away expensive stars as part of rebuilding projects that inevitably make their baseball operations cheap as balls. Spokesman Greg Bouris confirmed Friday that the Major League Baseball Players Association has notified Commissioner Rob Manfred it wants to make sure the Miami Marlins and Pittsburgh Pirates are not violating the revenue-sharing agreement. Both teams are recipients and have pared their payroll significantly this offseason. The complaint is exploratory in nature, seeking answers to questions brought on by the clubs’ moves. Baseball’s collective bargaining agreement states “each club shall use its revenue sharing receipts ... in an effort to improve its performance on the field” and prohibits use of that money to service debt related to franchise acquisition and to debt not related to improving on-field performance. This is not a concern that can be expressed solely in terms of the behavior of the Pirates and Marlins during this off-season. Both teams are, in fact, rebuilding—although the Marlins rebuild is so hilariously devoted to helping a wildly leveraged ownership group slink their way out of debt—whereas MLB payroll spending overall is years into a steady shift that now has players receiving something like 40 percent of revenue, and the state of free agency this cycle is alarming. 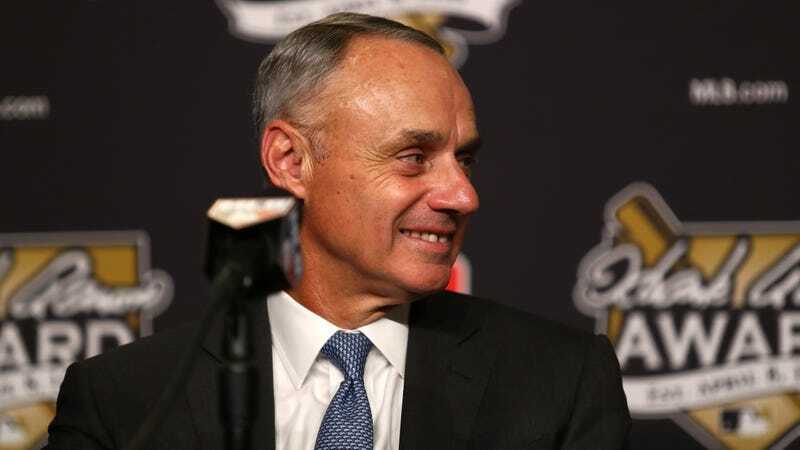 What MLB needs—so long as there’s going to be a luxury tax that functions more like a cap, and which owners appear to be treating as a cap—is a salary floor, but that’s not going to come about without another CBA, and not without owners raising total hell. By the crummy standards of a disastrous CBA, what the Pirates and Marlins have done might be kosher, but that’s not the hill anyone should be charging. Players are getting worked; owners are getting fat. The union had better be prepared to do more than tug on the commissioner’s sleeve.